Their observations indicate that it is an ancient rocky body, rather than a contemporary asteroid that strayed out. 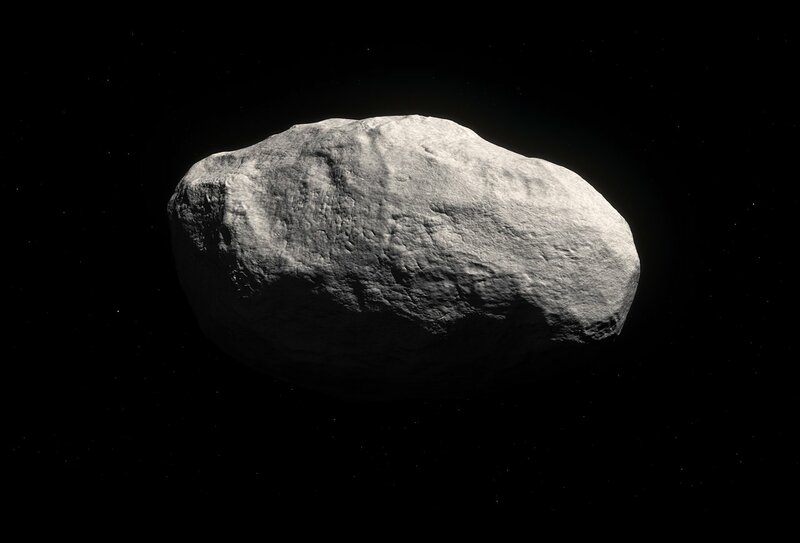 As such, it is one of the potential building blocks of the rocky planets, such as the Earth, that was expelled from the inner Solar System and preserved in the deep freeze of the Oort Cloud for billions of years . The team immediately noticed that C/2014 S3 (PANSTARRS) was unusual, as it does not have the characteristic tail that most long-period comets have when they approach so close to the Sun. As a result, it has been dubbed a Manx comet, after the tailless cat. 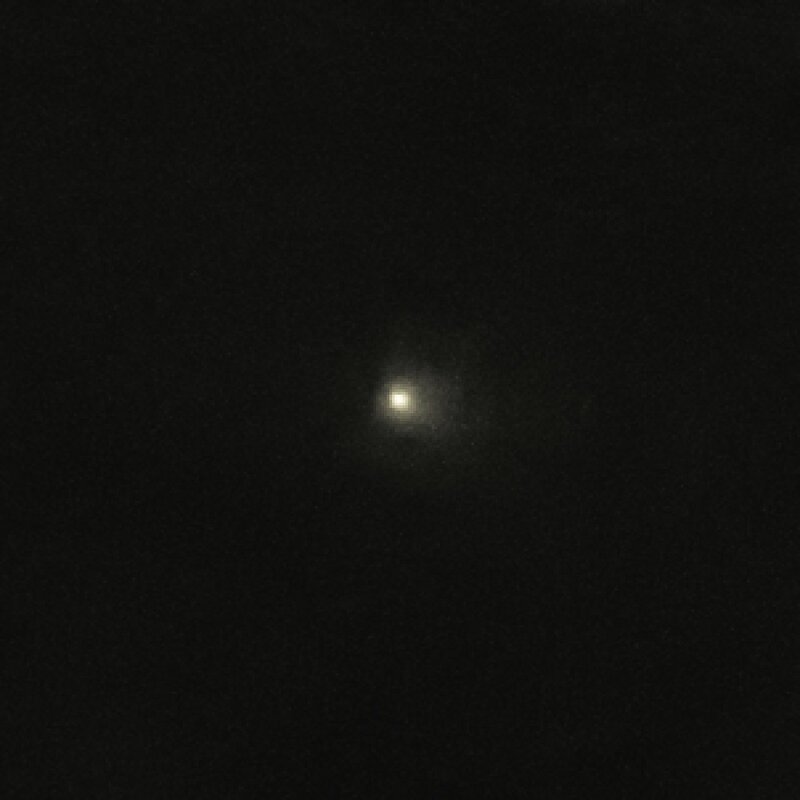 Within weeks of its discovery, the team obtained spectra of the very faint object with ESO’s Very Large Telescope in Chile. 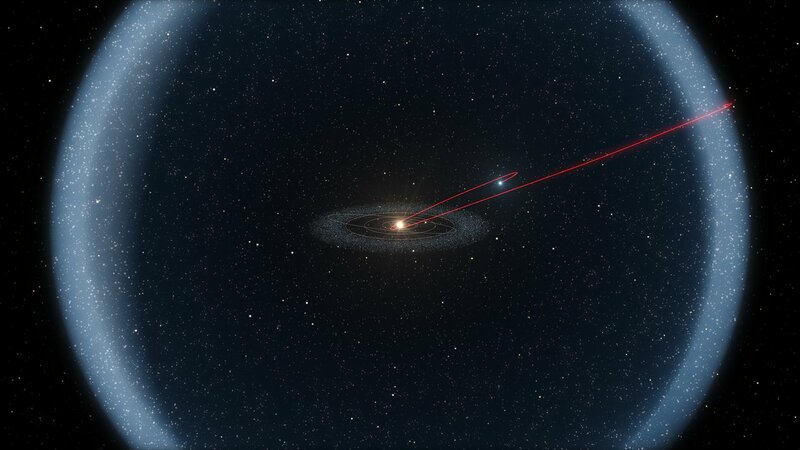 The Oort cloud is a huge region surrounding the Sun like a giant, thick soap bubble. It is estimated that it contains trillions of tiny icy bodies. Occasionally, one of these bodies gets nudged and falls into the inner Solar System, where the heat of the sun turns it into a comet. These icy bodies are thought to have been ejected from the region of the giant planets as these were forming, in the early days of the Solar System. This research was presented in a paper entitled “Inner Solar System Material Discovered in the Oort Cloud”, by Karen Meech et al., in the journal Science Advances.